Company Auto Management is one of the few companies providing transportation for the participants of the G20 Summit. 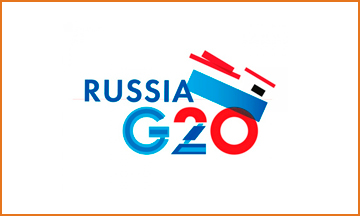 The most important event of the current year in the framework of the "group of twenty" became a meeting of leaders of countries participating in the G20, which took place on September 5-6 2013 in St. Petersburg. - Meeting of Deputy Finance Ministers agreed on a joint statement of leaders "Groups of twenty"
- The summit of heads of States and governments "group of twenty". Our company provided transport for the participants and guests of the G20 summit (which can be accredited by the accreditation service of the G20 summit in Saint-Petersburg). - Mercedes Benz S221, E212 Mercedes Benz, Mercedes Benz Sprinter, cars C-Class for rent with driver. In 2014, the company Auto Management participated at the G20 in St. Petersburg, and provided transportation to participants in countries such as USA and Brazil.